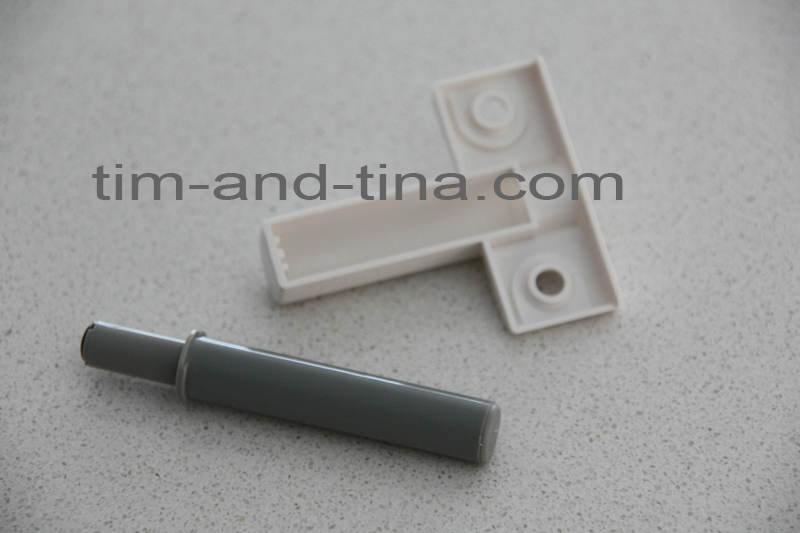 tim-and-tina presents things for your house! 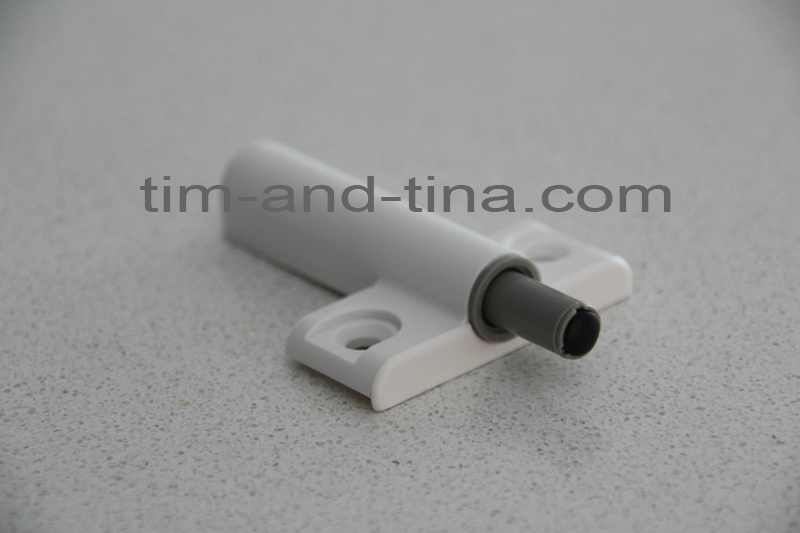 tim-and-tina.com - soft closing door dampers for your home! Special clearance offer -see bottom of page for details! We now have Version 2.0 available. While we loved the fact the original door dampers were so easy to install (just peel off the self-adhesive tape and stick!) the problem was that after months of use, the adhesive tape just wasn't sticky anymore. With Version 2.0, we hope that these issues have been addressed. Installation is still easy, with self-tapping screws provided with each order, and the damper unit is manufactured separate to the casing. These can be used with kitchen cupboard doors, bathroom vanity doors, pot drawers (you may need 4 or more dampers per drawer) and any other doors that slam too much! To see how the dampers work and how to install them, please have a look at this video! The white outer casing blends into most kitchen cupboards, with the grey damper giving a modern contrast - especially for those kitchens with stainless steel appliances! 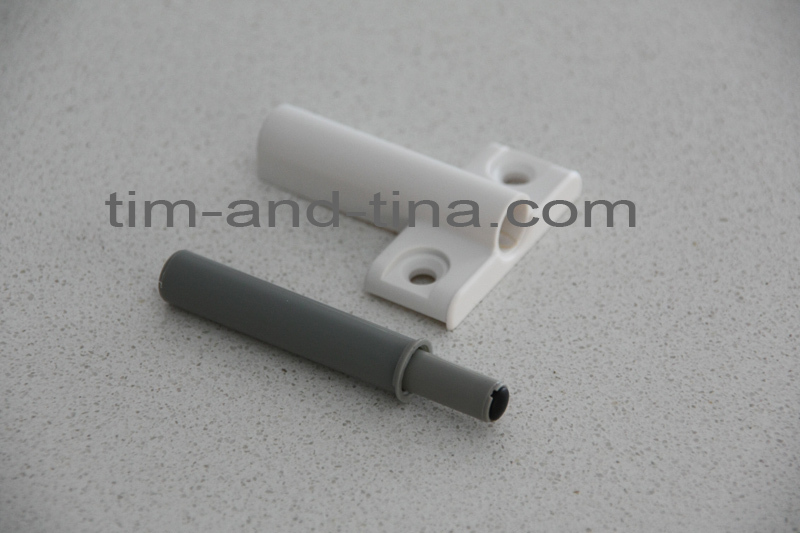 The damper is removable from the outer casing, and can be installed directly into cabinetry. The outer casing has a small lip to help position the damper. 100 door dampers, no screws included, for $100 shipped anywhere in Australia! Payment by bank deposit only, since Paypal has been screwing sellers for years now and we refuse to support them.